Stefan Zweig generally cut and cut his longer stories until arriving at the essence of the tale. 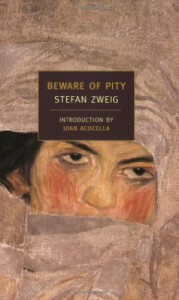 Beware of Pity is therefore an anomaly, one that forces me to conclude he should have written more novels. Memorable characters abound in this book that actually contains three extraordinary stories, the primary one set against the lead up to World War One. The protagonist, Lieutenant Anton Hofmiller is an idealistic Austrian army officer and it is his pity, something of a double edged sword, which is at the root of this tragedy. Had Stefan Zweig written more novels I would have already added them to my "to read" list, as it is at least he created this one memorable work. It is well worth reading. I'll also take this opportunity to recommend the only other book I have read by Stefan Zweig, and that is his fascinating memoir The World of Yesterday. 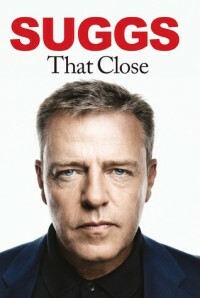 I am a similar age to Suggs and also grew up in north London so there were many aspects of his story that I recognised from growing up in the same place at the same time. That said, he has plenty of amusing and interesting tales to tell, and this book is peppered with them. He's also an enthusiastic and engaging narrator. So, whatever your background, if you enjoy books that embrace social history, music, travel, humour, growing up, families, and this thing we call life, then you should find plenty to enjoy here. Philipp Blom's central thesis is that the years 1900-1914 tend to be overlooked by historians analysing twentieth century history due to the dramatic events that followed, however he asserts that everything that followed has it genesis in these years. He makes a good argument too. Like our own era, the era was characterised by an incredible rate of technological change, profound social upheaval, etc. and Blom's book has given me a good insight into life during the early years of the twentieth century. There's a chapter for each year beginning in 1900 and ending in 1914 and each year is introduced by a significant person or event. Each chapter works as a stand alone article and I jumped around a bit when I read the book. The book places an emphasis on social and cultural history, and covers a wide range of topics e.g. modernism, women's suffrage, philosophy, Freud, telecommunications, neurasthenia, the Dreyfus affair, the growth of cities, etc. and convincingly demonstrates how the social and cultural changes often associated with the aftermath of WW1 would probably have all happened anyway. The final chapter is called “1914: A political murder” however it's not about the assassination of Franz Ferdinand, it's about Henrietta Caillaux, the wife of the French finance minister, who killed the editor-in-chief of Le Figaro. The background of the crime is a tale that Blom could not have invented any better, a sleazy affair and an aggressive media campaign against the minister, combined to create the dramatic crime. The French public lapped the story up, meanwhile the shot in Sarajevo, fired at the same time, was hardly noticed. The book packs a lot in and is well worth reading for anyone interested in the era, or indeed twentieth century history. I am working my way through all of Patrick Leigh Fermor books and, whilst he is only the translator here (also adding a few helpful footnotes and an introduction) Crete feels an important part of his myth, as well as an interesting slice of WW2 history in its own right. Actually Patrick Leigh Fermor is really only a bit part player in this book, though he adds a few helpful footnotes in addition to translating the book into English. 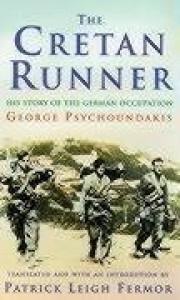 This is a fascinating insight into an active member of the Cretan resistance during WW2. George Psychoundakis was a young shepherd boy when the Nazis invaded his home in 1941. Whilst clearly very bright and perceptive he was relatively uneducated. This does not hamper his descriptive powers and, bearing in mind his lack of education, this is a remarkable book. As George Psychoundakis explains, Crete has a long history of occupation and counter-resistance, and he had no hesitation in participating in the resistance. He was a runner, carrying messages between different resistance groups and across diverse, usually mountainous terrain, barely resting for weeks. A risky and courageous existence, frequently achieved with very little food or sleep, in extreme conditions and all for no recompense. The conflict in Crete between the Cretan guerrillas, supported by a handful of British soldiers, and the Nazi occupiers was extreme. The hated Germans behaved barbarically to the Cretans and punished acts of insurrection by torturing and destroying entire communities. 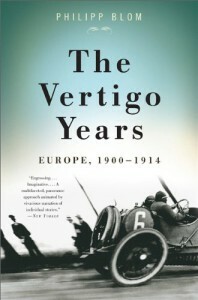 This book describes the backdrop to these years. Prior to WW2, George had never left the island of Crete. For a short period during the war he left Crete and visited Egypt and Palestine. Viewing these new worlds through his eyes is a real pleasure and one of the many highlights in the book. I found the huge array of different characters to be a little confusing however this did not hamper my enjoyment of this guileless account of a courageous and extraordinary resistance fighter. This is the third book in Derek Raymond's Factory series. The Factory novels, nominal police procedurals are narrated by an unnamed protagonist, a sergeant at London's Metropolitan Police Department of Unexplained Deaths, also known as A14. A14 handles the lowlife murders, and which are in stark contrast to the headline-grabbing homicides handled by the prestigious Serious Crimes Division, better known as Scotland Yard. 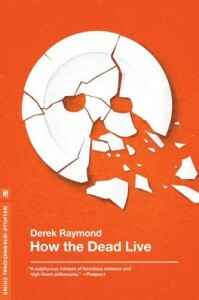 In How the Dead Live the unnamed Sergeant is sent out of London to investigate a missing person case in a small English village called Thornhill. The complicity and sleaze that is rife in the village is presumably meant to mirror that of broader British society. This was written in the mid-1980s and I wonder what Raymond would have made of our own era. As with the previous two books, the prose is bleak and our uncompromising hero is like a blow torch, incinerating virtually everything that gets in his way. Unlike the previous books, he is discernibly angrier here, and his dialogue frequently seems to be that of a somewhat camp playground bully. I preferred him in the first book, when he went about his business in a quieter and more understated manner. Still, there is some predictable pleasure in him taking down a selection of corrupt fat cats in addition to some of his own colleagues. This is the weakest of the three Factory novels that I have read so far. That said, I know that number four, I Was Dora Suarez(1990), is very highly regarded, and, for all its flaws, this is still compelling and I raced through it, and enjoyed the whole thing. 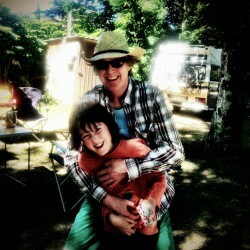 Click here to read a discussion thread about Derek Raymond. I read A Time of Gifts by Patrick Leigh Fermor and was so inspired by the experience that I went straight onto this biography. I already know that feeling inspired by "Paddy" (as everyone knew him) is a common reaction to his work and readers frequently become in thrall to this amazing man, as did most of those who met him in life. On the off chance the name Patrick Leigh Fermor is new to you, as it was to me until recently, in addition to being one of the great prose writers of the 20th century, recounting his travels; he was a war hero; an open minded, charming companion; and he had an insatiable appetite for both learning and life. Artemis Cooper has done a fine job of condensing a full and fascinating life into around 400 pages, and managing to provide sufficient focus to the key stories and also giving a good overview. What comes across most clearly is Paddy's energy and restless spirit. His exuberance and lust for life charmed the majority of those he met but he was quite capable of being appallingly tactless too, as one memorable encounter with W Somerset Maugham amply illustrates. What is even more remarkable is that he found a companion, and ultimately wife, Joan, and both were devoted to each other, despite their open relationship. As he was penniless for much of his life, she would occasionally hand him some cash at the end of dinner in case he needed to procure the services of a prostitute.Artemis Cooper doesn't dwell too much on this aspect of his life but does highlight Paddy's great loves, many of whom ran concurrently with his relationship with Joan. Paddy outlived Joan by a few years and was clearly lost without her despite friends rallying around him. So, a fine biography of a remarkable man, and yet I still have a nagging feeling that his own writing gave me a better sense of Paddy the man than this biography. It's hard to say how or why. Anyhow that is not to detract from a wonderful book. As Paddy wrote, hours before he died, and knowing the end was looming: "Love to all and kindness to all friends, and thank you for a life of great happiness". The perfect epitaph for a truly remarkable human being who is well served by this biography. In 1933, at the age of 18, Patrick Leigh Fermor set out on an extraordinary journey by foot - from the Hook of Holland to Constantinople. "A Time of Gifts" is the first volume in a trilogy recounting the trip, and in this volume the reader accompanies him as far as Hungary. It's an exceptional book. Published years after the event, in 1977, it still perfectly captures the wonder of his extraordinary journey and the many fascinating people he met on the way. 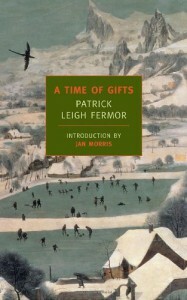 What elevates this magical book are Patrick Leigh Fermor's gifts as a writer and the resultant delightful prose; his enthusiasm for knowledge and learning which peppers every page; and his personal charm which makes him as welcome in aristocratic homes as hostels or the homes of farm workers or labourers. Patrick Leigh Fermor also provides an alternative cultural history of central Europe. His gifts for languages and history result in musings about Yiddish syntax, Byzantine plainsong, and most memorably the whereabouts of the coast of Bohemia as mentioned by Shakespeare (turns out it existed for 13 years but also turns out Shakespeare probably couldn't have cared less), and much much more. So, in summary, a beautifully written travel book, that also serves as a history book, and in the company of the most charming and enthusiastic teenager it's possible to imagine. A remarkable book by a remarkable man. 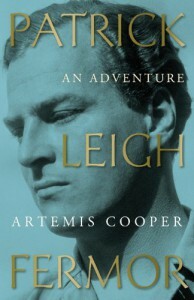 I look forward to the next volume, Between The Woods And The Water, though plan to read the recent biography Patrick Leigh Fermor: An Adventure by Artemis Cooper first. All in all this feels like the start of another beautiful relationship. Horace Panter aka Sir Horace Gentleman was the bass player with, and a founder member of, The Specials. Jerry Dammers lead the band and the Two Tone record label which, with its marvellous fusion of punk, reggae and ska, kickstarted the late 1970s ska revival in the UK. Horace vividly describes his life before The Specials, the band's formation, their meteoric rise to the top of the charts, and their equally swift disintegration. 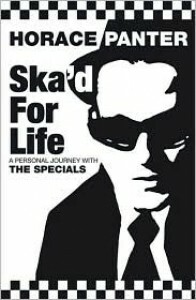 This clear-eyed recollection of life in The Specials is a marvellous read. It also operates as a cautionary tale for any would-be rock star. Horace's description of the band's first American tour sounds like hell on earth, despite playing some good shows. Overall it's hard to escape the conclusion that being in a successful band is not something anyone with a normal disposition should covet. That said, what Horace also conveys is the magic and exhilaration of playing live music, and of course playing in The Specials meant playing some of the finest music of their era. A great band, and a very interesting and enjoyable book. I first came across Kevin Pearce through his 1993 book "Something Beginning with O". I have no idea why I bought it but I was hooked from page one, and still have my original copy which seems to go for around £50 on eBay these days. I next stumbled across Kevin's work through his Your Heart Out website which contains a series of essays that explore all manner of interesting and eclectic music. These essays are also highly recommended. If Bob Stanley's splendid "Yeah Yeah Yeah: The Story of Modern Pop" was the ultimate guide to the British pop charts, then "A Moment Worth Waiting For" does a similar job, but in a parallel universe and is a bit more time specific. 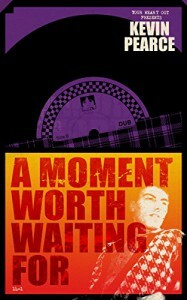 Whilst "A Moment Worth Waiting For" contains references to the pop charts and the mainstream, Kevin Pearce's focus is more about what was happening at the margins and in particular what was happening in the early 1980s. Kevin's genius, and to me it is genius, is to find myriad connections between his multifarious musical passions and, as with all good music writers, to inspire the reader to (re)visit the songs and artists he discusses. OK, cards on the table. It helps enormously that we both share a huge enthusiasm for Vic Godard. Vic, as you probably know, has been constantly questing since emerging with other early punks, pursuing his own distinct musical agenda, primarily, it seems to me, to please himself and the enlightened few who embrace his maverick sensibilities. How can anyone stick to one thing: funk, punk, jazz, reggae, hip hop, techno, folk, classical, whatever? Quite so. There's always a new world, unexplored territory, or a selection of rabbit holes to disappear down. What's wonderful about Kevin Pearce is he will point out new pathways. I scribbled down all the references (musical, cinematic, literary - though mainly musical) that piqued my interest. Another reader would doubtless come up with a very different list. How Kevin manages to establish and remember the numerous intersecting connections he highlights throughout A Moment Worth Waiting For is a mystery to me, however I am very grateful for his diligence and passion which informs every page of this wonderful book. A very detailed, but nonetheless accessible, account of the first month of World War 1 that focuses on the military history of the main combatants. I was glad that I already had a reasonable understanding of the political situation that led to the outbreak of war as this is not the focus of the book, and I wonder how readers without this knowledge get on with the book. The book's emphasis is on the military: Generals and planners etc. The extent to which you might enjoy this book will probably depend on your interest in the subject. I found the level of detail too much and I realise a more general history of the causes and run-up to the war would have been more appropriate for my needs. Barbara W. Tuchman has created a readable account, and it's no surprise that it was a best seller when it was first published in 1962, in addition to winning the Pulitzer Prize for non-fiction. 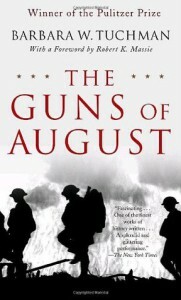 Sebastian Faulks, in the book's introduction, describes this book as "a tribute" by "a fan" and not "an imitation". For my money, and as a fellow P.G. 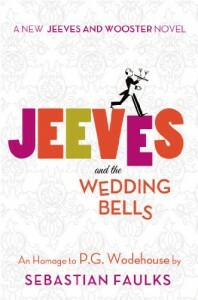 Wodehouse fan, I'd say Jeeves and the Wedding Bells is every bit as good as the real thing. Sebastian Faulks is to be congratulated for pulling off the perfect homage. I smiled, chuckled and on a couple of occasions guffawed, through this charming Jeeves and Wooster story. P.G. Wodehouse would have approved I'm sure. Jeeves and the Wedding Bells reminds me how much I love the work of P.G. Wodehouse and inspires me to get reading and rereading his books. There is no higher praise. As you may now, P.G. Wodehouse won the Mark Twain Medal in 1936 for "having made an outstanding and lasting contribution to the happiness of the world". Sebastian Faulks has now further added to the happiness of the world with Jeeves and the Wedding Bells. 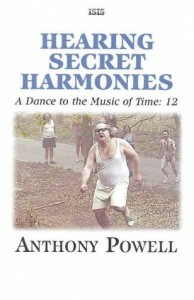 It's curious to consider that when Anthony Powell wrote Hearing Secret Harmonies the final novel in the twelve-novel series “A Dance to the Music of Time”, and despite the series starting in the early twentieth century, that it was almost contemporaneous, being published in 1975, and taking place in the late 1960s and early 1970s, and makes references to hippies, the permissive society, Vietnam, and Enoch Powell. The final two volumes, Temporary Kings and Hearing Secret Harmonies, each moving the narrative forward by around ten years, allows for some dramatic changes to have occurred, the most notable change is in Widmerpool whose trajectory dramatically changes in ways that would be difficult for anyone to imagine earlier in the series. Anthony Powell finished the series with a real flourish. Hearing Secret Harmonies embraces the late sixties counterculture and contains some truly stunning scenes. He also manages to introduce yet more new characters, including the memorable Scorpio Murtlock and his Harmony cult. Overall “A Dance to the Music of Time” is magnificent. Reading the series has been such a fabulous experience. Anthony Powellis a master. Although the books can be read and enjoyed individually, and on their own terms, the real pleasure is in reading all twelve books, and enjoying a narrative that takes place over a seventy year time span. Calling his series ''A Dance" is a perfect metaphor, as Anthony Powell is akin to a choreographer, who intricately keeps track of over four hundred characters across more than a million words. It's a stunning achievement, and throughout, his beautiful writing is as much of a joy as the ingenious plot and his ambitious, and completely successful, cultural and social history of England throughout the twentieth century. The star of the series is arguably Kenneth Widmerpool, one of the most memorable characters I have ever encountered in a book. Widmerpool is a contemporary of narrator Nick Jenkins and, despite not being friends, he crops up somewhere in every volume. Whilst narrator Nick, along with many of the characters, represent musicians, poets, novelists, painters etc., Widmerpool is the opposite, a ruthlessly ambitious person but a deeply flawed human being. I wonder to what extent he might represent the triumph of commerce and bureaucracy, over more aesthetic considerations, that appears to be one of the main aspects of twentieth century history. Whilst reading it I have had a copy of "Invitation To The Dance" by Hilary Spurling which is a wonderful reference book, particularly when I needed reminding about a character who had just reappeared. Now I have finished the series I plan to read the whole of "Invitation To The Dance" as it clearly contains lots of other useful and interesting information. I also have a copy of To Keep the Ball Rolling: The Memoirs of Anthony Powell which looks like another wonderful book and, according to the cover, is "especially illuminating to students ofA Dance to the Music of Time". I am really looking forward to reading both, in addition to re-reading this marvellous series again. “A Dance to the Music of Time” is a masterpiece - and one of the best literary experiences I have ever enjoyed. Profound, funny, dramatic, and remarkably accessible and easy to read. It is a series I will return to again. I cannot praise it highly enough. "Anthony Powell is the best living English novelist by far. 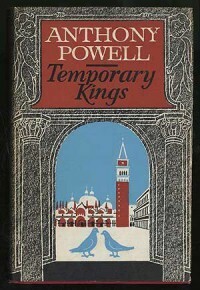 His admirers are addicts, let us face it, held in thrall by a magician"
Temporary Kings (1973) is the penultimate volume of Anthony Powell’s twelve-novel series “A Dance to the Music of Time” and opens in the Summer of 1958, eleven years on from Books Do Furnish a Room (Volume 10). The star of this volume is Pamela Widmerpool who manages to trump her previous feats of outrageous behaviour. As with other volumes, new characters appear and long standing characters reappear. Despite the familiarity of so many of these characters, Powell still manages to provide surprises, along with new insights. The late X Trapnell even managing to retain a presence throughout much of this book too. Having created the magical world of this literary masterpiece, which shines a light on relationships, personal values and social history, I cannot wait to discover how Powell wraps the saga up. Finishing the twelfth and final volume, Hearing Secret Harmonies, will be a bittersweet moment. This has been one of the most enjoyable literary journeys I have experienced. 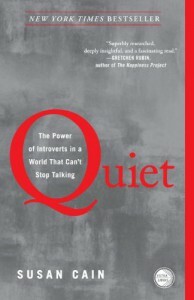 An interesting and timely investigation into introversion, and how introverts are undervalued and misunderstood in schools, the workplace, and Western society. 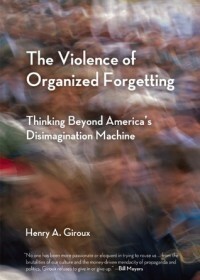 One of the most interesting chapters is about how, after industrialisation, the USA quickly evolved into a culture that valued a hearty, sales type personality over more considered personality traits, and how this outgoing stereotype now dominates at the expense of people who are naturally quieter and more thoughtful. All of the book's more salient points also feature in Susan Cain's presentation on the TED Talks website however the book elaborates on the key points. In common with many similar books (e.g Malcolm Gladwell), the main points can easily be summarised in a few pages however, in order to create a book, the central ideas have been filled out into c300 pages of science, research, social history, questionnaires, and anecdote, much of which adds little to the central message. I got impatient throughout the many sections which felt like padding and which added little to the central thesis. Susan Cain's book contains some important, timely and provocative messages that are worth understanding. That said, it's not necessary to read the book to grasp the key points, which can be understood more quickly by watching this TED talkand/or reading the book's summary on Wikipedia. Books Do Furnish a Room follows straight on from the preceding trio of war volumes (The Valley of Bones (1964), The Soldier's Art (1966), and The Military Philosophers (1968)) and takes place in the immediate post-war period of 1946 and 1947. It is strange, and informative, to read an evocation of the atmosphere of post-war austerity in England, a period that doesn't appear to feature too often in literature (in contrast to the pre-War years and the war itself). As the title suggests, Books Do Furnish a Room is about publishing, and specifically the publishers, Quiggins and Craggs, and their new literary magazine Fission, who Nick Jenkins joins. Plenty of pre-war characters reappear, along with a younger bohemian crowd most notably the up-and-coming novelist X. Trapnel (famously based upon a literary hero of mine Julian Maclaren-Ross). From what I know of Julian Maclaren-Ross, X. Trapnel appears to be a fairly faithful rendition of his personality, and his strengths and foibles. At the start of Books Do Furnish a Room we discover that narrator Nick Jenkins is writing a study of Robert Burton author of "The Anatomy of Melancholy", which was first published in 1621. I had never heard of Burton, or his book, but was inspired to find out more. The full title of The Anatomy of Melancholy is"The Anatomy of Melancholy, What it is: With all the Kinds, Causes, Symptomes, Prognostickes, and Several Cures of it. In Three Maine Partitions with their several Sections, Members, and Subsections. Philosophically, Medicinally, Historically, Opened and Cut Up" which I think gives a good indication of what the reader might expect. Nick Jenkins makes numerous small references to Burton throughout this volume which doubtless adds yet another layer of enjoyment for Robert Burtonaficionados. 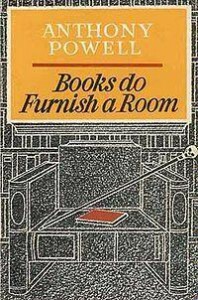 After the formality of the war years, Books Do Furnish a Roomcontains more humour and Anthony Powell seems to consciously add in more comedy including one of the most funniest accounts of a funeral I have ever read. Pamela Flitton, who we first encounter in The Military Philosophers, continues to live up to her billing as the ultimate femme fatale and, once again, wreaks havoc. She is a wonderful literary creation. Meanwhile, our narrator, Nick Jenkins, now in middle age returns to both his university and his school in this volume which provokes reacquaintance with some old characters, and reflections on his younger self. As with previous volumes, this book is funny, wise, compelling and addictive. Taken as a whole, A Dance to the Music of Time is really something special. Now, with only two volumes left to read, my heart is heavy at the prospect of finishing this magnificent work of literature. It is one of the best things I have ever read and I will be revisiting these books again.